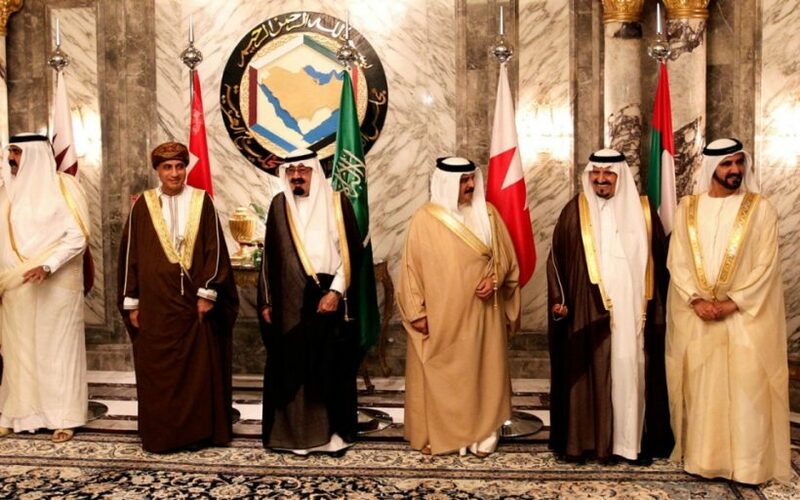 (Left to right) Qatari Emir Sheik Hamad bin Khalifa Al Thani, Omani Deputy Prime Minister Fahd bin Mahmoud Al Saeed, Saudi King Abdullah bin Abd al-Aziz, Bahraini King Hamad bin Isa Al Khalifa, Saudi Crown Prince Sultan bin Abdul Aziz and Sheikh Mohammed Bin Rashid Al Maktoum, Vice President and Prime Minister of the UAE and Ruler of Dubai pose for a group photo before the opening of the Gulf Cooperation Council summit in Riyadh, Saudi Arabia, 2010. None have been allowed to enter the (relatively) nearby Gulf nations, who all rank in the world’s top 50 GDPs and have a combined military budget of more than £65billion [almost $100 billion], according to Arab expert Sultan Sooud al-Qassemi. Gulf states have donated money. In total, the Gulf states are thought to have given over £589m [$904 million] to the aid effort – but it is four times less than the United States has. Have you heard/read any news reports that the United States has given more money than any other country to the Syrian refugees? 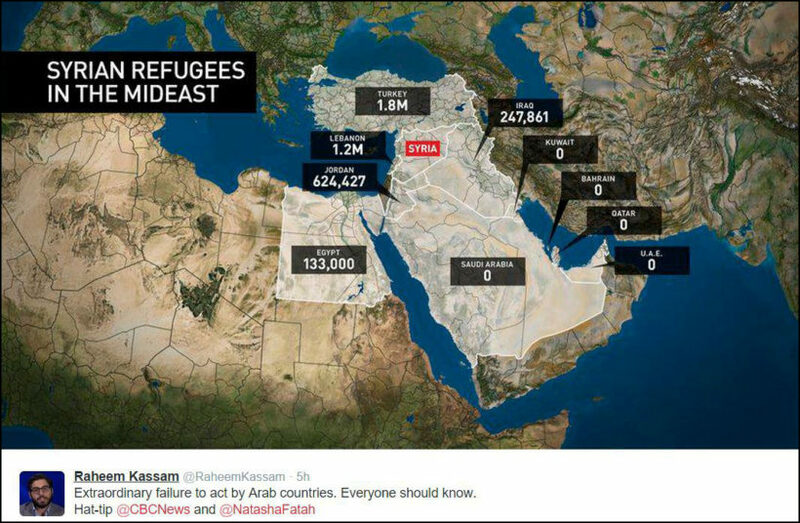 Did you know that the rich Arab (Muslim) countries are refusing to accept any Syrian refugees? Do you think this is an example of story selection, omission and/or spin? Explain your answer.